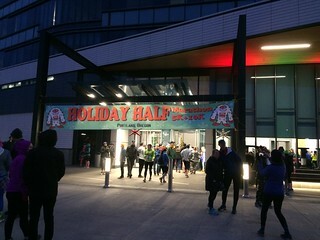 Heavy clouds with heavy downpours were lurking on the horizon, but it was still dry when runners started gathering at the new start line for this year’s Holiday Half Marathon, 10k and 5k races at the Daimler Headquarters in North Portland on December 9th. This was the first year of this race starting at Daimler, after using the area for parking for the past several years. The many lots offered plenty of spots for participants, and parking attendants helped the process run efficiently. I had not been able to attend any of the packet pickup opportunities, but day of race pickup inside the main Daimler building went pretty smoothly as well. Vendors and sponsors had also set up their booths inside a conference room, allowing us to stay warm before it was time to line up for the race. 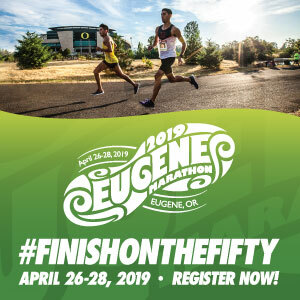 The half marathon and 10k started first, and three starting corrals were well marked and explained several times, allowing participants to self-seed to assure a smooth start and alleviate congestion on the first mile. I dropped my coat off at the gear check (even though I considered keeping it in the breezy 40*) and joined the middle corral for the 5k start. The first half mile of the 5k course was on closed side-streets with plenty of space for the field of runners to find their spots. Once we turned onto Channel Ave, there still wasn’t a lot of vehicle traffic along the route, but cones guided us to stay within just one lane. About 3/4 mile into the race, the lead runners had already reached the turnaround and were coming back, and it’s always inspiring to see the fast runners do their thing! The turnaround point of the first outbound section was just before the half way point of the race, and I happily watched the costumes and cheered on kids and adults in the back of the pack on my way back. The aid station just before the 2 mile marker offered water, electrolytes, and gingersnap cookies. 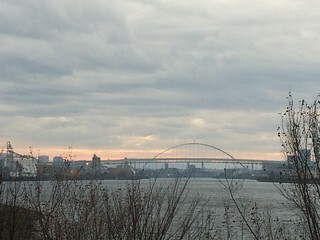 From there, we turned towards the south and ran on the path along the Willamette River, giving us beautiful views of the water, downtown Portland, and the Fremont Bridge. At the finish, volunteers were handing out our medals and a cup of water. On the side of the building (between the finish line and the waterfront) was the grilled cheese truck with sample bites, a coffee tent with free cups of the hot stuff, and the post race cup of hot soup. Around the back of the building on a covered patio were picnic tables and a chance to sample some hard seltzer and get a pint of Deschutes beer. Music was playing and people were mingling, cheering on 5k finishers going by along the waterfront. I was glad for the cover since the rain was starting to pick up. 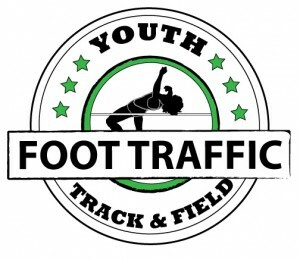 Overall, this was a well organized event, just like in past years. The new starting point worked out really well, and I’m glad there continues to be a warm and covered area for the pre- and post-race activities. The 5k course was fine, and the beautiful path along the river makes up for the industrial feel of the first half of the course. The 10k and half marathon have an added hill (compared to prior years) and otherwise run on the same beautiful scenic course through the Overlook neighborhood. 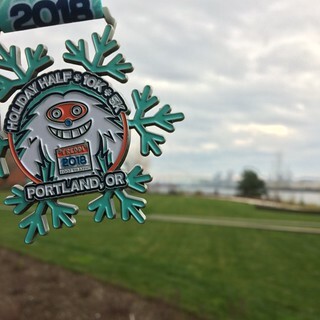 The Holiday Half is definitely one of my favorite winter races.